In A significant part of SQL Server process memory has been paged out we discussed about SQL Server working set trim warning, when they can occur and how to troubleshoot them. I the same blog I mentioned SQL Server will log “A significant part of sql server process memory has been paged out” warning when working set reaches 50% or below of the overall committed memory by SQL Server memory manager. In this blog I will try to cover when this warning could be a false warning and how to identify it. Let us recollect what is committed memory and different states of committed bytes in windows. Committed Mapped : Committed mapped to page file. Committed untouched: committed memory which is never accessed (When a page is committed in windows it will never become working set unless accessed). Let us understand what Committed untouched is. Download Memoryallocator exe from This link and Keep committing memory using the same exe. You will notice that the committed memory of the Memoryallocator process increases, but the physical memory usage (RAM usage or Working set) (or) Page file usage will not increase at all. Only the committed memory of the process and committed memory of overall system increases. When a page is committed in windows it will not become part of working set or page file unless it is accessed. Similarly when SQL Server estimates the memory requirements of different clerks and allocates them during startup or on need. These allocated memory is part of committed memory but will not have a page in RAM or Page file unless accessed for the first time. So during this condition SQL Server’s working set can go far below the committed bytes and once working set reaches 50% or below of overall committed bytes then ““A significant part of sql server process memory has been paged out” warning is logged in SQL Server errorlog. How do you identify if this warnings are false warnings? We can identify if these warnings are false using the SQL Server memory dump or using the Perfmon counters. Let us stimulate a false warning situation using the below backup query and see how to identify if the warning is false. Run the below query in your test system. Note: If you do not get the warning message increase the buffer count in below query. If you get “There is insufficient system memory in resource pool” then reduce the buffer count. WARNING: dumptrigger and below trace flag’s are undocumented and should be used only in test environments with caution (or) under Microsoft Support supervision. There is no guarantee that they will work in future versions of SQL Server. DBCC TRACEON(8026,-1) --Trace flag –T8026 tells dump trigger to remove the trigger after the first dump has been triggered. 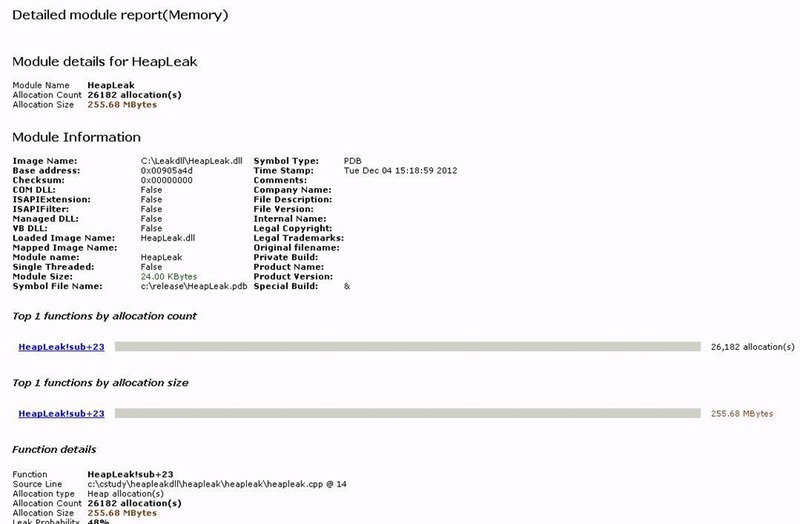 Open the SQLDump00nn.txt and review the memory section in SQLDump00nn.txt. This will give you the system memory information when the error occurred. In the above output “Available Physical is 96,691 MB” which indicates there is no physical memory pressure when SQL Server raised 17890 warning so widows is not trimming the working set and obviously we can come to conclusion that this instance of warning is false warning. Note: Above method may not work well in earlier versions of windows in which working set of all processes are hard trimmed when there memory pressure in the system. I you review your SQL Server error log you would notice 17890 warning at the same time when Private bytes (Green line) spiked. How to conclude that the warning is printed because of “untouched committed pages” by SQL Server. In general when a page is committed and accessed it will be part of working set as long as there is enough available memory on the system. If you look at below graph you will notice that the private bytes (committed) is increasing but the working set is not increasing at same phase though there is adequate available memory in the system. This can happen only when the pages are committed and not accessed (If you look at below graph carefully committed memory increased and dropped with in 10 seconds so when you configure Perfmon choose sample rate every 1 second else perfmon might miss the data and you will find some thing like this happened). SQL Server lock pages in memory should I use it? Few days back someone asked me an interesting question. Why memory_utilization_percentage (working set ) is 100 % when Virtual_address_space_committed_Kb ( committed ) is around 10 GB and Physical_memory_in_use_kb is just 1.7 GB (refer below image)? Physical_memory_in_use_kb is Memory allocated by the SQL Server process which is currently in RAM. (This includes AWE and Large pages allocation). Memory_utilization_percentage is ratio between Physical_memory_in_use_kb and Memory allocated by SQL Server using SQL Server memory manager(derived from dm_os_memory_nodes). If the Memory_utilization_percentage is greater than 100% then it is capped to 100% . Memory used by external components in the SQL Server address space is not considered while SQL Server derive the memory utilization percentage. To reproduce the above behavior download VirtualallocLeak.dll from THIS link and copy to ‘C:\EXE\’ folder. Do I need to configure Max server memory and min server memory? What is the right value for this configuration and how to determine it? There are many debates around this and above questions are raised by many SQL Server DBA’s frequently in many forums. If you ask me , “It depends” on various factors. Before we choose to configure or leave this value to default it is very important to understand how SQL Server grow and shrink its memory usage based on the available memory in operating system even when Max server memory is not configured or defaulted. How SQL Server grow and shrink its memory usage based on the available memory in operating system even when Maximum server memory is not configured or defaulted? SQL Server memory management is designed to dynamically adjust its memory usage based on the amount of available memory on the system. SQL Server will keep allocating memory based on its need as long as there is memory available I.e. as long as MEMPHYSICAL_HIGH (HighMemoryResourceNotification )notification is signaled in widows and will scale down its usage when there is MEMPHYSICAL_LOW (LowMemoryResourceNotification) signaled in windows. When available memory is between the low memory and high memory SQL Server will try to maintain the memory usage stable( RESOURCE_MEM_STEADY) with some exceptions. You can download the ResourceNotificationHighandLow.exe from This link to see memory notifications from windows. The default level of available memory that signals a LowMemoryResourceNotification event is approximately 32 MB per 4 GB, to a maximum of 64 MB. (By default, the threshold is 64mb on most systems). The default level that signals a high-memory-resource notification event is three times the default low-memory value (By default, the threshold is 64*3=192 MB on most systems). 1. Once the available memory on the system goes below 192 MB HighMemoryResourceNotification (MEMPHYSICAL_HIGH) signal is revoked by windows and SQL Server will not grow its Bpool. 2. Once the available memory on the system goes below 64 MB LowMemoryResourceNotification (MEMPHYSICAL_low) is signaled by windows and SQL Server will shrink its Bpool (reduce its memory usage). Note: So unless there is an crazy application in the system that keeps allocating and releasing memory in Zigzag fashion making windows trigger HighMemoryResourceNotification and LowMemoryResourceNotification one after the other SQL Server will not grow and shrink its memory usage in Loop continuously. If there are such application in system then even configuring max server memory may not help. The default Low memory threshold 64MB may not be ideal for all systems. Ex: Let as assume an application is requesting 150MB of memory suddenly when the available memory is 190 MB and the grant is successful. Available memory will now drop to 40 MB making windows signal the LowMemoryResourceNotification. SQL Server will start responding to the LowMemoryResourceNotification from windows but at the same time windows working set manager will also start trimming the working set of all the processes. Which will bring down the overall performance of the system. We can increase the LowMemoryThreshold value by making the following registry changes If LowMemoryThreshold set to higher value OS will notify applications such as SQL on low memory conditions much earlier and SQL Server can respond to memory pressure much early before the system starves for memory and before windows working set manger starts trimming the working set of all the processes. System Reboot is required to take effect. In the above example I have set the LowMemoryThreshold to 512 MB hence the MEMPHYSICAL_LOW notification will be signaled as soon as the available memory drops to 512MB and HighMemoryResourceNotification (MEMPHYSICAL_HIGH) will be in signaled state till the available memory is 1536MB (LowMemoryThreshold *3). After making the above change SQL Server will grow its Bpool memory till the available memory in the system is greater than 1536 MB and as soon as the available memory drops below 1536MB HighMemoryResourceNotification signal will be revoked by windows causing SQL Server to maintain steady state and will not grow its memory usage further but that doesn’t mean SQL Server will wait for the LowMemoryResourceNotification notification to scale down its memory usage after the HighMemoryResourceNotification notification is revoked. SQL Server will always try to keep the available physical memory in the system high (I.e. SQL Server will try to keep the available memory in system to HighMemoryThreshold (LowMemoryThreshold * 3 ). What if I have multiple instances of SQL Server on same server and how they load balance the memory among themselves? SQL Server will try to balance to balance its memory usage with other instances of SQL Server running on the same box . As I mentioned earlier SQL Server will try to maintain the available memory on the system to High memory threshold. SQL Server Lazy writer checks If there is disk reads performed in last 10 seconds and if there is no reads for last 10 seconds then SQL Server will reduce its memory usage until HighMemoryResourceNotification is signaled by OS. Let us assume there are 2 SQL Server instances running on server with 32 GB of RAM and Lowmemorythreshold is set to 512MB on the system (so HighMemoryThreshold is 1536 (Lowmemorythreshold *3)). 1. When the OS starts HighMemoryResourceNotification is set to on because there is adequate available memory on the server. 2. SQL Server instance 1 starts first and it will consume memory till the HighMemoryResourceNotification resource notification is revoked ( HighMemoryResourceNotification will be revoked when available memory drops below 1536 MB). 2. Now the 2nd SQL Server instance is started and it finds High memory resource notification is revoked so it will not increase its memory usage. 3. Lazy writer thread of 1st instance checks if there is any disk reads performed by 1st Instance in last 10 seconds , If there is no disk reads then first instance will scale down its usage until HighMemoryResourceNotification is signaled by OS (HighMemoryResourceNotification will be signaled again when available memory becomes 1536 MB). 4. 2nd Instance which is hungry for memory sees the High memory resource notification and starts growing its usage till the high memory notification is revoked. Once the high memory notification is revoked 2nd instance will stop growing. 5. 1st instance finds the high memory notification is revoked and will again check if there are any disk reads in last 10 seconds and if there are no reads then It will further scale down till there is high memory resource notification. 6. Once the high memory is signaled 2nd instance will start growing again. 8. Instance with higher memory requirement will be consuming more memory than the instance with low memory requirement in some time. This way both the instances will balance their memory requirements with each other. 1. Above logic may not fit well if the total Physical memory on the system is very low compared with the memory requirements of multiple SQL Server instances running on the system because if you start the second instance while the first SQL Server is running with full memory utilization but still performing lot of reads I.e. RESOURCE_MEM_STEADY and still lot of reads , second instance may take long time or may not scale up its memory usage soon. In such case you can cap the max server memory but the performance of SQL Server will be very poor because of memory contention. 1. What will happen when MTL allocations increases? Available memory in system drops when the MTL consumption increases. If the MEMPHYSICAL_HIGH is set then there will not be any effect to bPool. If MTL consumption increases drastically it might cause available memory to drop further causing windows to trigger LowMemoryResourceNotification. If LowMemoryThreshold is siganled SQL Server will scale down its bPool usage. 2. Will windows working set manager starts trimming the working set of all processes as soon as the LowMemoryResourceNotification is signaled? 3. What are the other effects of changing LowMemoryThreshold? There might be other application and drivers which is also using memory notification from windows to grow and shrink memory usage. They will also shrink and grow when there is notification from windows. 4. Why would I need to CAP my SQL Server memory when we have a great dynamic mechanism in SQL Server to grow and shrink its memory usage? What is controlled by SQL Server Max Server Memory (Extract from SQLServer2012 Memory) ? SQL Server memory is internally divided in to two regions known as BPOOL and NonBPool (aka MTL or MTR) More details about BPOOL and MTL can be found in This blog. In earlier versions of SQL Server (Till 2008 R2) “Max Server Memory” controlled the Maximum physical memory Single page allocator (BPOOL) can consume in SQL Server user address space. SQL Server 2012 memory manager has now clubbed single page allocator and multipage allocator together as any-size page allocator . As a result, the any-size page allocator now manages allocations categorized in the past as single page and Multi-Page allocations. 1. "max server memory" now controls and includes “Multi pages allocations”. 2. In earlier versions of SQL Server CLR allocated memory was outside BPOOL (Max server memory) . SQL Server 2012 includes SQL CLR allocated memory in "max server memory". Hope you got clarity on allocations controlled by Max server memory , Let us see how to set it. How to set correct value for SQL Server Max server memory? There is no magic formula for this. Estimate the memory required by other applications running on same server, Operating system, Drivers , SQL Server Non- bPool allocations, jobs, anti virus etc.. Make sure you have acceptable available physical memory even when the system is under heavy load. 1. Consider the operating system memory requirement. 2. 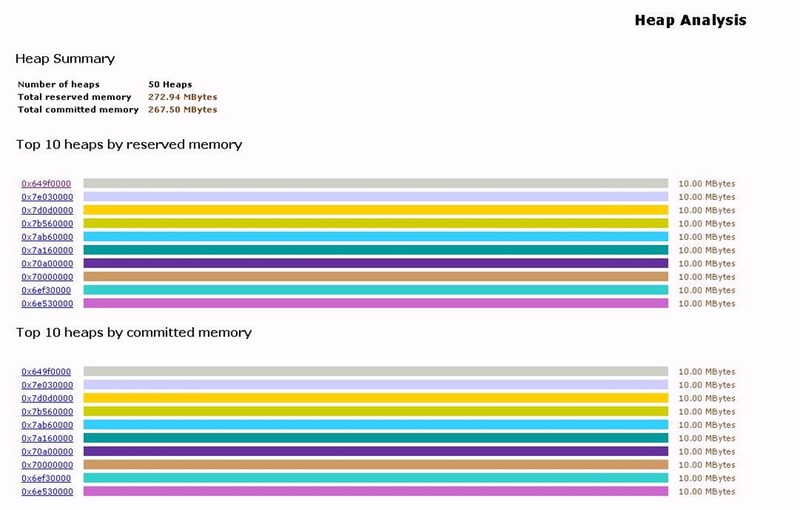 Consider the memory requirements by other applications/processes running on the server. 3. Consider the memory requirements of the drivers/firmwares. 4. Consider the NonbPool (aka MTL or MTR) memory requirements by SQL Server. If you are using CLR extensively add some additional memory for CLR. 5. Consider the memory requirement by jobs (Including replication agents, Log shipping etc. ) and packages that will run on the server. 6. Consider SSAS and RS memory requirements. 7. Make sure there is good enough free space for operating system. If you have any other memory requirement specific to your environment. Once you have calculated a reasonable value for all the above memory requirements take the sum of all the above requirements and deduct it with total physical memory to derive an ideal value for your max server memory. If you still see LowMemoryResourceNotification or working set below 100% frequently then use This exe which will print the memory information of all the processes and system wide memory information (Global memory status) when the operating system signals low memory notification. Once you get the output from the exe when there is LowMemoryResourceNotification review requirements of each process and tweak Max server Memory accordingly. What about Min server memory and should I configure it? I mentioned earlier that when LowMemoryResourceNotification comes from Windows or HighMemoryResourceNotification is revoked+No reads for 10 seconds , SQL Server scales down its memory usage. How much it scales down? Until “Minimum server memory” is reached (If there is continuous memory pressure on the system). What happens when you set Max server memory and min server memory to same value? SQL Server will never scale down its memory usage even when there is memory pressure system wide (Lowphysicalmemory notification set at system level). Note: This setting does not affect OS from paging. When there is LowMemoryResourceNotification If LPM is not enabled SQL Server’s working set (Bpool + Non bPool )will be paged. If LPM is enabled system will starve for memory and non-bpool will be paged. If you do not want SQL Server to scale down its usage when there is LowMemoryResourceNotification in windows configure Min server memory and Max server memory to same value (Bad choice). If you want to limit “how much SQL Server wants to scale down“ you can configure this value. If you are running production SQL Server on VM-Ware double check if you have configured/disabled ballooning for the virtual machine in which SQL Server is running. What is ballooning? Method by which VMware host can reclaim memory from the Virtual machines. Is it really bad to give memory from Guest to Host ? My opinion is yes if you are running production SQL Server on VM-Ware. Why I think it’s bad? SQL Server is memory intensive application and requires adequate memory for smooth running. If SQL Server doesn’t have adequate memory to run you see poor response time, Resource_semaphore/ Resource_semaphore_Query_compile waits, increased I/O, OOM errors, Non-Yield condition’s etc. In addition to all this when memory is reclaimed from virtual machines available memory in windows drops triggering windows to page out the working set of all the processes and you will face all side affects discussed in A significant part of SQL Server process memory has been paged out . In worst case it is better not to give memory for SQL Server instead of give and take back. Remember Max server Memory is also a factor which will impact the generation of execution plan by the optimizer, So plan generated when you have X GB of max server memory may not be the right plan to use when you have Y GB actual memory after ballooning reclaimed memory from guest OS. What if hypervisor runs low in physical memory? It gives a hint that you have a poor consolidation. You can pick up the other Virtual machines that are not hosting production SQL Servers (or SQL Servers) from same Hypervisor and tweak reservations (or) Increase the maximum memory that can be reclaimed when the hypervisor is under memory pressure. What if I don’t disable ballooning for my production SQL Server? Ballooning can slowly take the memory from virtual machine in which SQL Server is hosted and can cause all the problems I mentioned above. To make things confusing when you look at task manager you may not even realize that ballooning has reclaimed memory from Guest OS, Because total physical memory shown in performance tab includes the memory taken by ballooning driver. Some of the RAMMAP output captured in production SQL Servers can self-explain. Driver locked value would be few MB’s in normal systems, If the value is very high in VMware virtual machines then you can assume ballooning is reclaiming the remaining memory . Below is output of RAMMAP from Virtual machine with 12 GB memory hosting SQL Server with max server memory capped to 8GB. Driver locked is around 8GB. So the system is running with less than 4Gb of RAM and how much is for SQL ? Below is output of RAMMAP from Virtual machine with 24 GB memory hosting SQL Server with max server memory capped to 20GB. Driver locked is around 16 GB. So the system is running with less than 8Gb of RAM and how much is for SQL ? You don’t agree ? I respect your view but my view is different . Note: I have not recommended to disable ballooning in every virtual machines. I recommend to do it for your performance sensitive SQL Server and if you find your hypervisor is running low in memory revisit your consolidation (or) Configure other non critical virtual machines running on same host in such a way that hypervisor can reclaim memory from them when it is under low memory condition. Sys.dm_os_ring_buffers DMV can be used to troubleshoot connectivity errors, track exceptions, monitor system health, memory pressure, Non-yielding/Deadlocked schedulers and a lot more. You can use below scripts to query the data from sys.dm_os_ring_buffers during troubleshooting. Lock pages in memory is again a black box for many SQL Server DBA’s. Configuration choice to enable lock pages in memory depends on various aspects. Before we get in to internals we will recollect some of the basics of SQL Server lock pages in memory in 64-Bit SQL Servers. What is Locked pages in memory in windows? Why do we need this privilege for SQL Server startup account? There are 3 different memory models in 64-bit SQL Server. They are conventional ,locked pages and large pages memory model. Locked pages memory model: In lock pages memory mode SQL Server uses allocateuserphysicalpages and mapuserphysicalpages function to allocate memory. Caller token of this function should have LPIM privilege else the function call would fail, hence you need LPIM for startup account of SQL Server to use lock pages memory mode. Large pages memory model: In large pages memory model I.e When you use TF834 in enterprise edition on systems with physical memory >8GB SQL Server uses large pages memory model. In this memory model SQL Server uses vitualalloc API with MEM_LARGE_PAGES allocation type. For using MEM_LARGE_PAGES in virtualalloc caller token must have LPIM privilege. Memory allocated using AWE allocator API’s (or) Virtualalloc function with MEM_LARGE_PAGES are not part of Process working set ,hence cannot be paged out and not visible in private bytes or working set in task manger and Perfmon. process. Private bytes (or) Perfmon.process. working set. What is the Advantage of using Lockedpages or Largepages? SQL Server working set (BPOOL) cannot be paged by windows even when there is system wide memory pressure. Disadvantage: Operating system will starve for memory when there is system wide memory pressure. OS has to completely rely on SQL Server to respond to low memory notification and scale down its memory usage . SQL Server may not respond fast enough to low memory condition at system level because OS is already starving for memory. LPIM prevents only the BPOOL from paging, Non-Bpool components can still be paged and we have critical portions of SQL Server memory like thread stack, SQL Server Images/DLL’s in Non-Bpool which can still be paged by OS. So many disadvantage…. But still why do we recommend LPIM in some places? In earlier versions of windows 2003 (If This fix is not applied) when there is system wide memory pressure windows memory manger would trim one-quarter of working set of all the process. Imagine If SQL Server is using 200GB of RAM and there is system wide memory pressure, Windows memory manager would move 50 GB of SQL Server working set to page file and we would end with performance problems. If LPIM is enabled OS cannot trim. Imagine there is a faulty application/drivers in the server and it leaks memory fast , It might consume all the memory in the server and windows memory manager might trim all of SQL Server working set. Known issues in windows like the one in This and few in windows 2008 mentioned in This link can cause windows memory manager to trim the working set of SQL Server process suddenly. Windows has a background process which keeps writing the contents of working set to page file, so when there is paging only the dirty pages needs to be moved to the page file others are already backed by back ground process, So paging would be very fast and SQL Server working set would be moved to page file in seconds before SQL Server responds to low memory resource notification from OS causing negative performance. In systems with large amount of memory (Ex: 1 TB )we might get non yielding scheduler situations when allocating memory in conventional memory model. LPIM is only option is this case. LPIM can be used in servers in which it might take long time to identify the cause of the working set trim. It is always suggested to identify the cause of TRIM before choosing LPIM in first place. You can use the steps mentioned in This link to troubleshoot working set trims. 1. Local system account has LPIM privilege by default, so if you are using local system as startup account of SQL Server then SQL Server might be using lock pages memory model by default with out your knowledge. 2. In earlier versions of SQL Server (Till 2008R2) you need TF845 with fix in KB970070 in standard and BI edition to make use of lock pages memory model. The views expressed on this website/blog are mine alone and do not reflect the views of my company. All postings on this blog are provided “AS IS” with no warranties, and confers no rights. I decide to write this quick blog after seeing a lot of confusion around sqlserver -g switch. sql server -g switch is nop in 64-Bit sqlserver and it is used in 32-bit sqlserver to increase the size of MTL(AKA MemToLeave). The default value of -g switch is 256 MB. I.e. if you do not specify value for sqlserver -g switch it is defaulted to 256 MB. Initialization of sqlserver memory during the startup of SQL Server is as follows. MTL (Memory to Leave)= (Stack size * max worker threads) + Additional space (By default 256 MB and can be controlled by -g). Stack size =512 KB per thread for 32 Bit SQL Server and 904 KB for 32Bit SQL Server running on 64-Bit systems. -g switch is used to increase the additional space from 256 to any desired value. 2. Calculate the size of BPOOL using below algorithm. Buf structures are arrays maintained by sqlserver to track the status of each buffer in BPOOL . SQL Server makes maximum of 32 allocation requests to the OS to reserve bpool pages. SQL Server maintains contiguous array to track status information associated with each buffer (8 KB page) in the BPool. In addition SQL Server maintains a second array to track the committed and reserved bitmap pages. This bit can be 0 or 1 . 1 indicates buffer is committed and 0 indicated page is reserved. Size of Buf structure is approximately 16 MB when AWE is not enabled and when AWE is enabled buf structures use additional 8MB per each GB of RAM in the system. 3. Release the MTL region which is reserved initially. We reserve MTL at startup and releases it after BPOOL is reserved to ensure MemToLeave region are contiguous. SQL Server fails to start and If you look at the SQL Server Error log you will find "Failed allocate pages: FAIL_PAGE_ALLOCATION" and SQL Server generating exception dump. Similar to the SQL Server error log below. 2013-01-02 12:31:20.91 Server (c) Microsoft Corporation. 2013-01-02 12:31:20.91 Server All rights reserved. 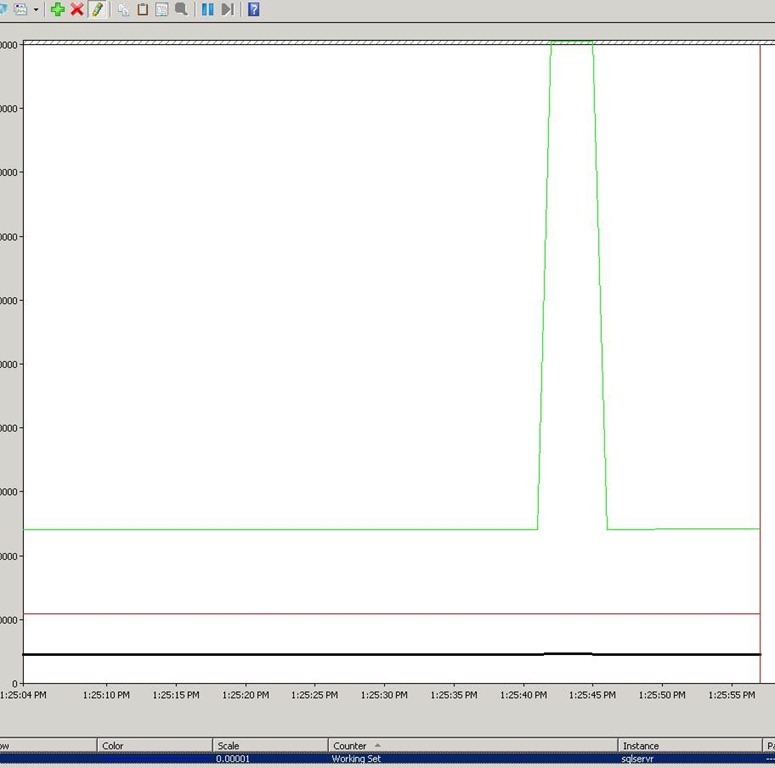 2013-01-02 12:31:20.91 Server Server process ID is 1583. 2013-01-02 12:31:20.91 Server Authentication mode is MIXED. 2013-01-02 12:31:20.91 Server Logging SQL Server messages in file ‘C:\Microsoft SQL Server\MSSQL10_50.MSSQLWIKIServer\MSSQL\Log\ERRORLOG’. 2013-01-02 12:31:20.91 Server This instance of SQL Server last reported using a process ID of 9240 at 1/3/2013 7:31:20 PM (local) 1/4/2013 12:31:20 AM (UTC). This is an informational message only; no user action is required. 2013-01-02 12:31:20.92 Server SQL Server is starting at normal priority base (=7). This is an informational message only. No user action is required. 2013-01-02 12:31:20.92 Server Detected 24 CPUs. This is an informational message; no user action is required. 2013-01-02 12:31:20.94 Server Address Windowing Extensions is enabled. This is an informational message only; no user action is required. 2013-01-02 12:31:27.33 Server Error: 17311, Severity: 16, State: 1. (Params:). The error is printed in terse mode because there was error during formatting. Tracing, ETW, notifications etc are skipped. Why would SQL Server fail with out of memory error (FAIL_PAGE_ALLOCATION)during the startup? Only possible reason that I could think of is Paged or NonPaged pool is empty. You will find error in system event log similar to one you see below. Above error indicates nonpaged pool is empty, When Nonpaged pool is empty every application would fail. How to identify who is consuming Nonpaged pool? Use poolmon.exe from windows support tools. (Steps are documented in This KB). If you r OS is windows 2003 or above you can simple run the exe from command prompt and identify who is consuming (Leaking J) space in Paged / NonPaged pool. Memory consumption by each tag is printed in above output. After finding the tag which is leaking the memory (Highest bytes)identify the Driver which is using the tag by using find command or strings utility from sysinternals (search for TAG in drivers folder %Systemroot%\System32\Drivers). Once you identify the driver, check if there are any known issue with the driver or you may have to contact the vendor of the driver to identify why the driver is consuming large amount of pooled /Non-pooled memory. If you liked this post, do like us on Facebook at https://www.facebook.com/mssqlwiki , join our Facebook group MSSQLWIKI and post your SQL Server questions to get answered by experts. In my previous post (SQL Server memory leak ) I explained how to identify the modules which are leaking the memory using ‘!heap’ commands. Sometimes we may not be able to find the cause by displaying the memory using ‘!d’ commands to find the patterns or using search memory commands (s). In such scenarios we can use Debug Diagnostic Tool or UMDH to track memory leaks. This blog will explain how to identify the memory leaks using Debug diagnostics tools. 1. Go to ToolsàOptions ->Preferences àSelect Record call stacks immediately when monitoring the leaks. 2. Go to the rules tab and select add rule. 3. Choose Native (non .Net) memory leak and handle leak. 4. Select the SQL Server or any process which has to be tracked for memory leak. 5. Click next and leave the default options (you can choose auto-unload Leak track when rule is completed or deactivated). 6. Click next and Activate the rule now. 7. Leaktrack.dll would have loaded to the process for which we are tracking the allocations. 8. Now you can wait for the leak to happen again. –If you are learning how to troubleshoot SQL Server memory leak follow the steps which we followed in previous post (https://mssqlwiki.com/2012/12/04/sql-server-memory-leak/)to leak the memory. –Download HeapLeak.dll from this link. –Let us execute this Extended SP 30 times and leak memory. 9. Once you suspect memory is leaked. Go to the rules and take a full user dump by right clicking the Leak rule. 10. After the dump is captured , go to the advanced analysis tab, Add data files and select the dump which we generated. 11. Go to ToolsàOptions ->set the symbol path for analysis. Default Microsoft symbol path is below. 11. In the available analysis script select memory pressure analyzers (memory analysis.asp). 13. Analysis might take a while depending on time it takes to load the symbols. Once the analysis is completed it would generate and open a HTML report. This HTML report is stored in C:\Program Files\DebugDiag\Reports\ by default and can be used for later reference. I have attached a sample report which I collected when leaking memory using heapleak.dll in This link. You can use it for reference. 14. Analysis summary is good portion in the report to start with and would give the module which is leaking the memory. Look at the below report. 15. Report has clearly indicated HeapLeak.dll has 255 MB of outstanding allocations. In heapleak.dll “Sub“ is the function which allocated this memory at offset 23. 16. 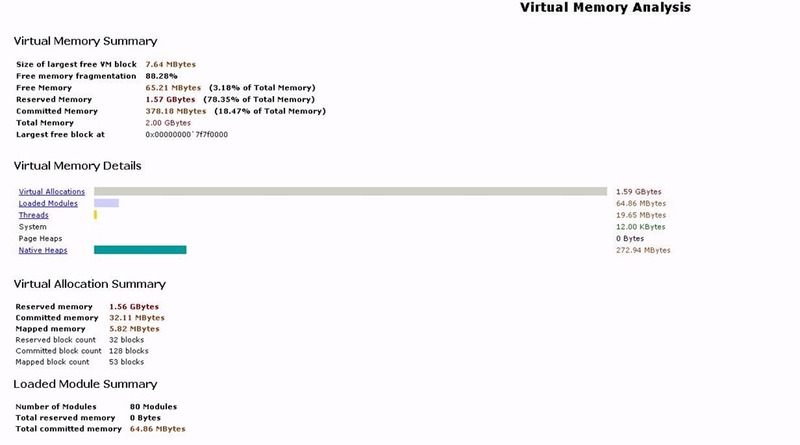 Look at the virtual memory summary. It gives complete picture about memory distribution in the virtual address space. In the below summary memory reserved is 1.57 GB which is normal in 32-Bit SQL Server, but native heaps is 272.94 MB which is not normal. Look at the heap summary there are 50 heaps. 17. Now look at the Outstanding allocation summary. It gives top 10 modules by allocation count and allocation size. 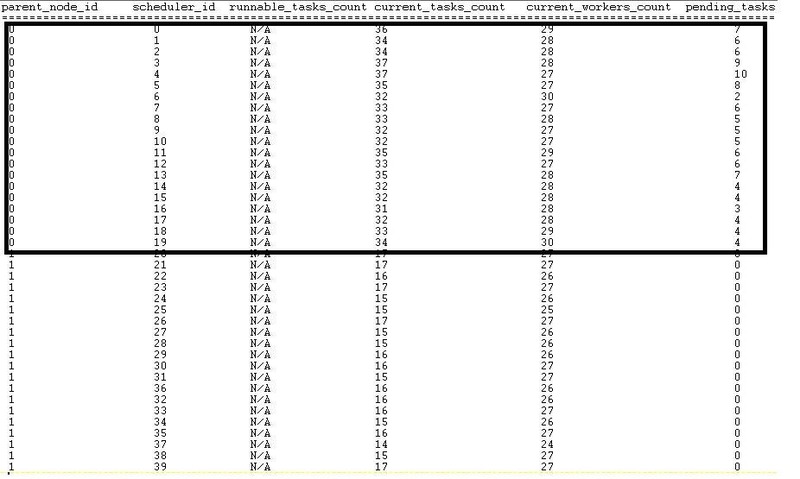 In below summary HeapLeak has 26,182 allocations with size of 255.6 MB. 18. You can also look at detailed module report(Memory). It gives the memory allocation from each module along with function and source line which allocated the memory (If you set the symbols for all the modules loaded). By now we are sure that sub function in HeapLeak.dll has allocated 255 MB in line number 14 and has not released. The report also gives you the callstack samples that show the code path when functions was doing allocations. Refer This sample HTML report file. If you liked this post, do like us on Facebook at https://www.facebook.com/mssqlwiki , join our Facebook group https://www.facebook.com/mssqlwiki#!/groups/454762937884205/ and post your SQL Server questions to get answered by experts. When port affinity is not configured all the connection to SQL Server enters through single port and connections are tied to nodes in round robin basis. We might end with Imbalance of Workload in NUMA systems under below conditions. 1. When a connection is tied (or) affinitized to a node, all the work from that connection will be completed on the same node (in which connection is directed) if plans are serial. We don’t consider the CPU load across the NUMA to pick up the node for serial plans, We use the same node in which connection is made for serial plan execution. Parallel query would use any NUMA node regardless of node this query came from. When all the queries execute from connections made to same node and if plans are also serial we might end up with overloading one Node while others are not fully used. 2. State of each nodes is internally maintained by SQL Server and updated every 2 seconds so there is remote possibility that all parallel queries end with same node some times and cause spike in one node, while the other nodes are unused. 3. When there is imbalance between the number of online schedulers in each node (Ex: 16-CPU in Node1 and 4-CPU in Node2 ) and if all plans are serial (assume we have set Max DOP 1) We might end up with overloading the schedulers in node with least schedulers. while the schedulers on other node is underused, similarly when memory is shared across nodes we share it equally irrespective of number of schedulers on each node so in this case first 16 schedulers would have got half of memory and 4 schedulers of second node would have got remaining half. So ensure you choose the CPU affinity carefully (Specially when you have installed SQL Server with limited processor license on system with larger number of CPU’s). SQL Server 2012 has made many changes to the memory manager to govern the SQL Server memory consumption in efficient way compared with earlier versions. Important changes to SQL Server 2012 memory which every DBA should be aware of is documented in this blog. 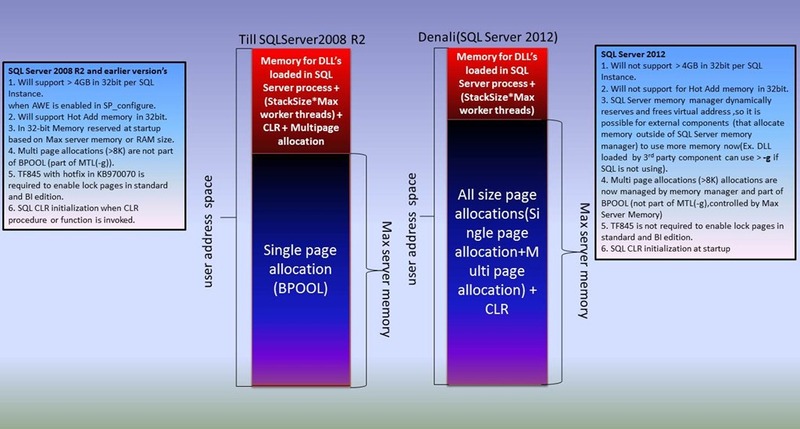 If you are not familiar with the SQL Server memory architecture of earlier versions I would recommend reading THIS ARTICLE before you continue with changes in Denali memory manager. In previous versions of SQL Server “Max Server Memory” controlled the Maximum physical memory Single page allocator (BPOOL) can consume in SQL Server user address space. These changes allow DBA’s to configure and control SQL Server more accurately in accordance with the memory requirements and using resource governor. We used the -g startup option to change the default value of a region in SQL Server user address space known as "Memory-To-Reserve". This region was also known as "memory-to-leave or MTL. The "Memory-To-Reserve" (or) -g configuration option are relevant only for a 32-bit instance of SQL Server. Multi pages allocation and CLR was part of Mem-to-reserve (-g) in In previous SQL Server versions until SQL Server 2008 R2 , From Denali they are part of BPOOL (Controlled by Max server memory) So you may have to remove –g if you have set it to give space for multipage allocator or CLR in earlier versions and migrating to Denali now. AWE feature was used in earlier versions of 32-Bit SQL Server to address more than 4GB of memory . This feature is now removed in Denali refer:"AWE deprecation". So if you need more memory then you may need to migrate to 64-Bit SQL server. Trace flag 845 is no more required to Lock Pages in memory. As long as the startup account of SQL Server has “Lock pages in memory” privilege Datacenter, Enterprise, standard and Business intelligence edition will use AWE allocator Api’s for memory allocations in BPOOL and this allocations will be locked. In earlier versions of SQL Server 32-Bit we reserved Bpool at the startup and remaining addresses are left for MTL (Memory to reserve or Memory to leave) . In Denali virtual address space management is dynamic (we don’t reserve at startup) , So it is possible for 3rd part components to use more memory than what is configured in –g parameter. In earlier SQL Server versions, Common language runtime (CLR) functionality is initialized inside SQL Server process when the first SQL CLR procedure or function is invoked. SQL Server 2012 performs SQL CLR initialization at startup. The initialization is independent of the ‘clr enabled’ configuration option. 2012-10-18 15:23:13.250 spid8s Starting up database ‘master’. 2012-10-18 15:23:13.930 Server CLR version v4.0.30319 loaded. 2012-10-18 15:23:06.690 Server Detected 131067 MB of RAM. This is an informational message; no user action is required. 2012-10-22 15:32:20.450 Server Detected 131067 MB of RAM. This is an informational message; no user action is required. 2012-10-22 15:32:20.450 Server Using conventional memory in the memory manager. When the query processor finds itself consuming a lot of time optimizing a query, it may decide to stop the optimization process abruptly, and choose the best available plan. This is to ensure that the optimizer doesn’t end up optimizing forever. This is called optimizer timeout (based on the number of plans considered relative to the cost of the best plan so far). When queries become more complex number of potential plans to consider can quickly grow in thousands. Optimizer has limit for memory it is allowed to use , when the optimizer reaches the limit it ends with optimizer memory abort. When timeout or memory abort happens optimizer might choose the best plan from plans which was generated till timeout or abort and it might be far from optimal plan so the query execution can take long time and consume resource. The query processor ran out of internal resources and could not produce a query plan. This is a rare event and only expected for extremely complex queries or queries that reference a very large number of tables or partitions. Please simplify the query. If you believe you have received this message in error, contact Customer Support Services for more information. StatementOptmEarlyAbortReason="TimeOut" (or) StatementOptmEarlyAbortReason="MemoryLimitExceeded" expression in the XML plan output. We can avoid optimizer from timing out and picking bad plan by enabling trace flag –T8780. This increases the time limit before the timeout occurs. 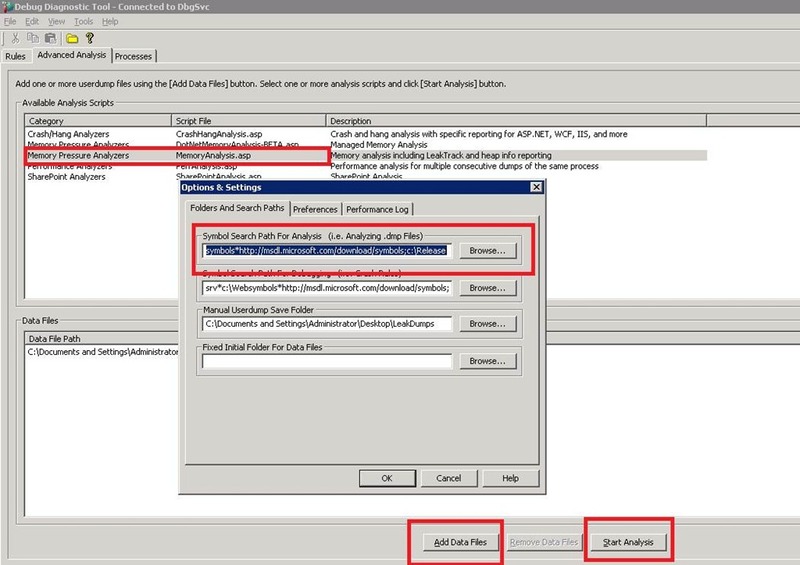 Note: Don’t enable this trace flag at server level , enable it only for the session which runs the query and identify if the optimizer is picking up a better plan. If you see optimizer picking up the better plan, right approach is to tune the query manually or using DTA and apply the recommendations . You can use this trace flag till you apply the recommendations made by DTA. 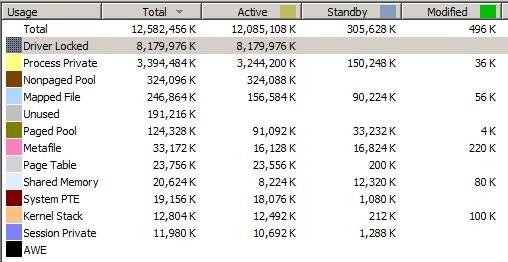 If you experience “ Optimizer memory usage abort” use “SQLServer:Memory Manager\Optimizer Memory (KB)” counter to the amount used for compilation . select * from sys.dm_os_memory_clerks where type=’MEMORYCLERK_SQLOPTIMIZER’ will tell us the overall memory used by optimizer. We can also use the CompileMemory= expression in XML plan output starting from SQL server2005 SP2 which will give us the compile memory used by individual plans. If you find optimizer memory is very low then identify what is contributing to memory contention in SQL Server and tune it. I will discuss compile memory in detail when I blog about Resource_semaphore wait types. Note: You may also receive below error because of few known issues documented in KB articles 982376, 946020,926773,917888 so if none of the fixes resolve the issue you may have to follow the same steps documented above. The query processor ran out of internal resources and could not produce a query plan. This is a rare event and only expected for extremely complex queries or queries that reference a very large number of tables or partitions. Please simplify the query. If you believe you have received this message in error, contact Customer Support Services for more information." Pay attention to Working set (KB), committed (KB) and memory utilization:% (Percentage of SQL Server memory in RAM) in above warning message. Above warning message is logged in SQL Server error log when working set reaches 50% or below of the overall committed memory by SQL Server memory manager. What is working set: Memory allocated by the process which is currently in RAM. Working Set trimming: Windows is moving the allocated bytes of the process from physical RAM to page file because of memory pressure. Memory pressure is most commonly caused by applications or windows components that are requesting more memory causing OS to start trimming working set of other processes to satisfy these new requests. Before we step in to troubleshooting working set trimming warnings, here are few basics about how SQL Server memory management is designed to dynamically adjust the committed memory based on the amount of available memory on the system. SQL Server uses CreateMemoryResourceNotification to create a memory resource notification object and SQL Server Resource monitor threads calls QueryMemoryResourceNotification every time it runs to identify if there is any notification. If a low memory notification comes from Windows, SQL Server scales down its memory usage and when Windows sends the high memory notification, SQL Server Server can grow its memory usage target. Low memory notification is signaled by windows when the available physical memory drops approximately below 32 MB per 4 GB, to a maximum of 64 MB. The default level that signals a high-memory-resource notification event is three times the default low-memory value. As soon as the SQL Server resource monitor threads finds low-memory-resource notification it scales down SQL Server memory usage. Why do I see “A significant part of sql server process memory has been paged out. This may result in performance degradation.” By SQL Server In spite of having above mechanism to detect the system level memory pressure and scale SQL Server memory? There are couple of situations where SQL Server Process working set might be paged out by Windows despite these memory resource notification mechanism. 3.When low physical memory notification is received by SQL Server it will scale down its memory usage by trimming internal caches. This effect is applied for 5 seconds and then paused for 1 minute. This is to avoid any hungry/faulty application to consume all the memory making SQL Server to scale its usage continuously. If low memory conditions still exist after 1 minute pause, the effect is applied again. So if there is physical memory pressure even after SQL Server scaling its usage for 5 seconds windows will still page out SQL Server’s working set. We can also increase the LowMemoryThreshold value so the OS will notify applications such as SQL on low memory conditions much earlier and SQL Server can respond to memory pressure much early before the system is starving for memory. How to set the LowMemoryThreshold value (in MB)? Process Utilization shows the percentage of overall used system CPU time that was consumed by sqlservr.exe. Process Utilization is calculated as sql_process_cpu_time/total_system_cpu_time for the current time interval. SystemIdle is the percentage of time that the system’s CPU’s have been idle. Page Faults value is the number of hard + soft page faults that have occurred since the last snapshot. Working Set is the change in the working set size in KB, since the last snapshot. Memory Utilization is working set/committed memory which is another way of saying that the number is the percentage of the process’ committed memory that is in RAM. The farther below 100% that this number falls, the larger the percentage of SQL memory that has been trimmed and moved to the page file. 1. When OS starts trimming the working set of SQL Server we would see drastic performance drop, increased I/O,non-yielding Resource Monitor / scheduler dumps etc..
2. IS-alive check failures resulting in SQL Server resource failure. 1. Capture perfmon counters (Process: Private bytes and Working set ) to determine which applications / windows component are requesting memory and causing OS to start trimming the working set of processes including SQL Server. 2. Use This exe which will print the memory information of all the processes and system wide memory information (Global memory status) when the operating system signals low memory notification. 3. Cap the SQL Server MAX Server Memory after considering the memory required by other applications, Operating system, Drivers , SQL Server Non- Bpool allocations etc. Make sure you have adequate available physical memory even when the system is under heavy load. 4. We can consider using the Lock pages in memory privilege. Remember it protects only the BPool from paging and Non-Bpool allocations can still be paged out. ullAvailPageFile: The maximum amount of memory the current process can commit, in bytes. This value is equal to or smaller than the system-wide available commit value. To calculate the system-wide available commit value, call GetPerformanceInfo and subtract the value of CommitTotal from the value of CommitLimit. So if AvailablePhysicalMemory is very high (or) when MaxServermemory is low then Target Server Memory (KB) would give you the MaxServerMemory else value derived from above formula.